For over 25 years, Jeff has represented clients in a broad range of complex commercial real estate matters in the Chicago metropolitan area and throughout the country. His experience includes the acquisition and disposition of retail, office, hotel and industrial properties and portfolios, and the development of townhome and condominium communities. 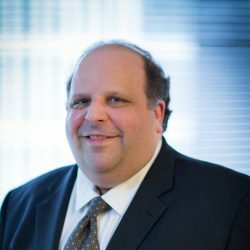 Jeff also has considerable experience in commercial lease transactions on behalf of landlords and tenants, 1031 exchanges and the drafting and negotiation of management agreements, construction, and architectural contracts. Jeff has also represented both lenders and borrowers in real estate financing matters, including construction lending, loan workouts/restructurings, deeds-in-lieu of foreclosure and securitized loans. Additionally, Jeff has been accredited by the United States Green Building Council (USGBC) as a LEED Green Associate. Leadership in Energy and Environmental Design (LEED) is a rating system developed by the USGBC which is used to evaluate the impact of buildings and projects on the environment and human health and to promote sustainable building design and operation. LEED is the most widely used third-party verification system of green building construction and design. Jeff’s accreditation as a LEED Green Associate underscores his commitment to assist building owners, developers and tenants in green building design, occupancy, construction, maintenance and operation. Jeff also has extensive experience representing commercial business concerns, including the acquisition and disposition of businesses, the drafting and negotiation of contracts, entity formation and governance, and corporate finance transactions. Prior to practicing law, Jeff practiced as a Certified Public Accountant with an emphasis in federal and state taxation. Jeff received his undergraduate degree in accounting from the University of Illinois, Urbana-Champaign and is a certified public accountant. Jeff resides in the Oak Park/River Forest area with his wife and two daughters.